Successfully Added Special 4GB MP4 Player with 2 Inch Screen + Mini SD Card Slot to your Shopping Cart. 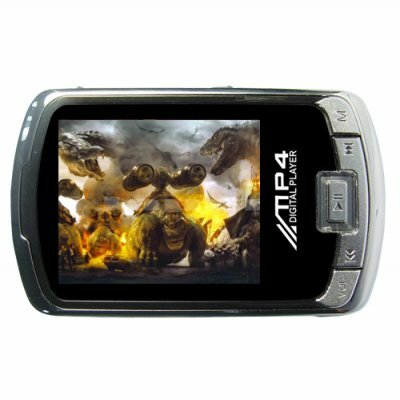 Special 4GB MP4 Player with 2 Inch Screen + Mini SD Card Slot. Inspired MP3 and MP4 Player featuring a TFT 2-inch crisp screen, great sound, and its own Mini SD card flash memory card slot making its capacity expandable by another 2GB's. Perfect for watching videos or listening to MP3 digital music, the CVAAL-M107 has a convenient color icon navigation menu in 18 different languages and value-added entertainment features like FM radio with recording, this baby will give you the a full digital entertainment experience at a budget friendly price. Click "Add to Cart" now to have us instantly ship a sample of this unit to you today. Then order more to resell on eBay or your own internet storefront. The M107 is brought to you exclusively by the leader in factory direct from China electronics, Chinavasion. Bonus: Premium quality gold plated earphones now included! Perfect MPP4, all my clients are happy with this! I have buyed 8 units, and no problem with no one! a nice design and a very large screen for videos and pics , the fm receiver is not excellent but ok in good conditions. When I ordered it I thought that it was just an mp4. But I was wrong. It's really fantastic. Very crisp screen, my battery works up to 10 Hours and I have 4 GB allways with me in a very very slim mp4. Very cheap price.